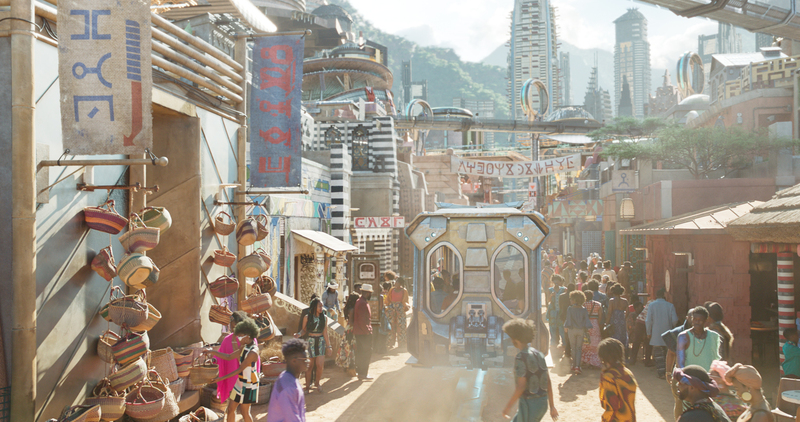 The Oscar race for production design features the zeitgeist-grabbing Wakanda, a trip to the moon, and a royal palace that's a playground. 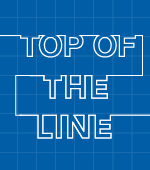 This year’s race for the Best Production Design Oscar is all about exotic world building, from “Black Panther’s” innovative Wakanda, to “First Man’s” ghostly moon landing, to “The Favourite’s” 18th century royal palace as a playground and battlefield for love and political maneuvering. Oscar hopeful Hannah Beachler could become the first African-American production designer nominated for creating the fictional civilization of Wakanda in “Black Panther.” She designed an oasis of Afrofuturism with a distinct written language, which was the perfect complement to the social realism infused by director Ryan Coogler for this zeitgeist-grabbing Marvel phenomenon about black empowerment. Production designer Nathan Crowley (“Interstellar”) found his lunar location for Damien Chazelle’s “First Man” in a gray quarry outside of Atlanta, where he carved a huge set. The historic moon walk, shot in IMAX, became the director’s “Wizard of Oz” moment. We follow the grieving Neil Armstrong (Ryan Gosling) as he ventures along the alien surface to say goodbye to his deceased daughter at Tranquility Base. 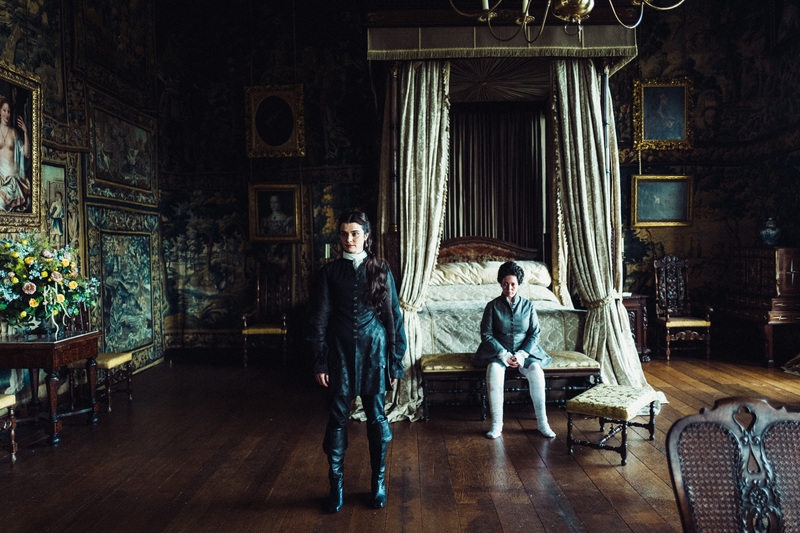 Production designer Fiona Crombie transformed England’s Hatfield House into a playful and exotic space for Yargos Lanthimos’ twisted love triangle between Queen Anne (Olivia Colman) and rival cousins Sarah (Rachel Weisz) and Abigail (Emma Stone). Crombie combined period-correct recreations with absurd anachronisms in this tug of war for the queen’s affections. Beachler went on a research trip to South Africa to prepare for Coogler a massive 500-page Wakanda bible that served as the connective tissue for the powerful civilization. Everything from architecture to city planning to color-coding to symbols to language to the tech built around the super-powerful vibranium was organically constructed. For Beachler, it was a liberating way of tying the past with the present. For example, Steptown became a hipster center of Afropunk in the Golden City. But one of the most important facets of her world building was the hall of records because “it was important for every person in Wakanda to know where they came from.” From a personal standpoint, that become more powerful than vibranium. Crowley, meanwhile, lucked into finding the gray quarry called Vulcan. Chazelle wanted it to look like an otherworldly land of the dead, and Oscar-winning cinematographer prepared to shoot in IMAX at night with a crisp, monochromatic look, using a 200K SoftSun lamp. Crombie and the art department modified Hatfield for their playful purposes, filling it with wood paneling and morphing the spaces with a sense of improvisation, particularly the great hall, which was used for banquets, dancing, and the opening duck race. But these were vast, empty spaces, in keeping with the period, despite being lined with flowers and food for gluttony. The floors were stripped of any coverings for their glossy look, and there were thousands of candles for natural lighting.